A fuel pump issue erased any hope of a top-10 finish as Cody Coughlin, who has six top-10 and four top-five finishes with a pole award in the last eight ARCA races, finished 14th at Friday’s Corrigan Oil 200 in Brooklyn, Michigan. 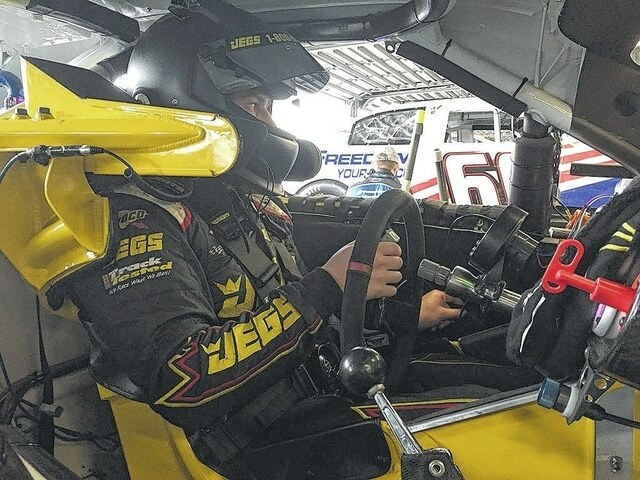 Confidence was high at Michigan International Speedway this weekend for Joe Gibbs Racing development driver Cody Coughlin. Coughlin was fast in “race-runs” during practice on Thursday and that led the Venturini Motorsports team to believe the 19-year-old driver had a great shot at victory when the Corrigan Oil 200 took the green flag Friday in Brooklyn, Michigan, for the ARCA Racing Series. Unfortunately for Coughlin and the team, a fuel pump issue relegated the teen to a 14th-place finish. While charging to the front of the field, the issue began near the midpoint of the race. Coughlin was forced to relinquish his sixth place spot and make a pitstop for the team to change the fuel pump during a green flag run. The time to make the change put Coughlin seven laps down. It was the second time in as many days that the number-55 car suffered the same fuel pump problem. After the pitstop, Coughlin continued to run hard for the remainder of Friday’s race to help his race team add to their notebook moving forward. “My crew chief, Dave Leiner, said he gained a lot of information on this chassis and what to do when we get to Chicago next weekend, so I’m really happy about that,” Coughlin said. Coughlin had his parents, John and Di, at the racetrack on Friday to cheer him on, as well as many friends and family since Michigan is only a few hours away from his hometown of Delaware, Ohio. Coughlin finished fifth at Chicagoland Speedway in his one start at the 1.5-mile track last year, so now he’s hoping he can find similar success in the Windy City when the ARCA Racing Series visits it Saturday.